First Built in the 1980’s these condos have stood the test of time and are better than ever! Walk to Air Canada Centre or Rogers Centre is the centerpiece! New Ripley’s Aquarium coupled with CN Tower has piqued interests of tourist and locals! Lakefront Walk and Tours to Centre Island via Ferry on the docks in 10 minutes! Shopping and leisure walk combined with craft workshops and Sailing Lessons! Area events (4000+) throughout the year ( 235 Queens Quay)! CNE, Marine Museum, Fort York just to name few venues that you can walk to! Streetcar access to Union Station, Spadina or Bathurst Street Subway lines ! DVP or Gardiner in a breeze! 550 Queens Quay Condos offering direct view of the lake! This is a new Phenomenon in Toronto Downtown – People of any age love to live here! 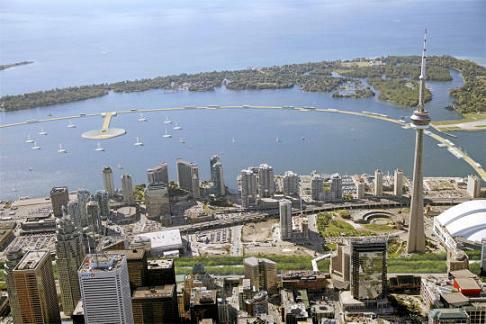 We anticipate that Waterfront population will double by 2030! The area will command prices as seen on San Franciso’s Sausalito Area!